What is a corporate training? Corporate training programs definitely not a new concept but nowadays it is in demand and mandatory for almost every organization. We cannot say that there is a certain reason is responsible for it but we may consider the enhanced technology in organizations and traditional education system as a main reason behind it. Industries hire fresher and they passed out from college after finishing their academic study that does not cover any industrial project handling process or workshop on the job after study. Before explaining anything it is important to clear difference between corporate training and corporate education. Most of the organizations assume that corporate education and corporate training programs are the same processes. Here it is important to explain that corporate training programs are organized by the organization for their employees when the required to train or educate about new technology or working process hire by the organization from outside or third party. 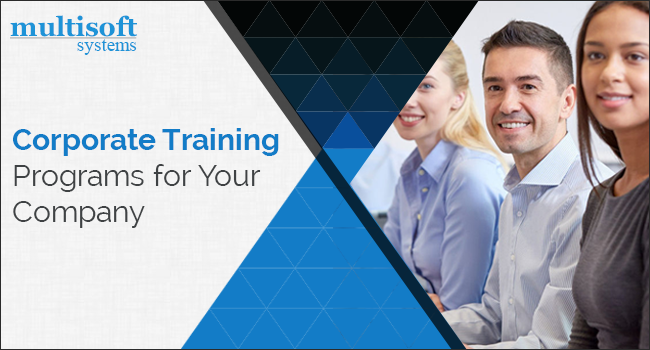 The corporate trainer may belong to the organization or out of the organization i.e. he/she may be from inside or may be from outside. Corporate education is a form of training where new employee learns how to operate a certain equipment/software and perform some specific task in a safe and effective manner. Corporate education has another aspects and purpose of training by involving employees of the organization as a learner to share information old or new that assists the organization to improve and maintain the status. Corporate education has been planned for enhancing the ability of the employees. It may be for business purpose or may not. We indexed the essential Corporate Training Programs, that every organization should arrange and every employee should take. Effective Communication: Ineffective communication can often lead to negative or competitor direction relationships and can affect your company’s business. Whether it’s a face-to-face meeting or an e-mail strand, every employee should have knowledge of the basics of business communication. A well-designed communication course helps the team in developing the essential skills they need to communicate using a way either orally or verbally. Time Management: It is a key to success, yet numerous employees’ shortage the skillset required to manage their time perfectly. The result is stress, missed deadlines, feeling pressurized and poor work performance. Time management training is important to help the employees stay organized, focused, and be more productive every day. Project Management: We are now living in a world where most tasks are projects and definitely a team requires completing that project and at least one project manager. Project management is a skill strongly associated at every level of an organization and should be a part of each employee’s career path. Leadership Training: Your new bees’ employees will become a leader of project or team tomorrow. That’s why leadership training is important that companies offer to everyone they hire – along with supervisors and managers. Conclusion: – Finally the main role of our corporate training programs is to certify the employees that they have the skills to handle a particular operation in a better manner for the better result. It is a process of knowledge transfer from our trainer to the employees of the organization or it may be in-house process from an employee to employees, instructor to employees, or manager or employees under the surveillance of authorized management.